Specially formulated to provide a full bodied, high opacity, matt finish to all interior walls and ceilings. Ideal for new work application. Coverage approx 13m2 per litre. 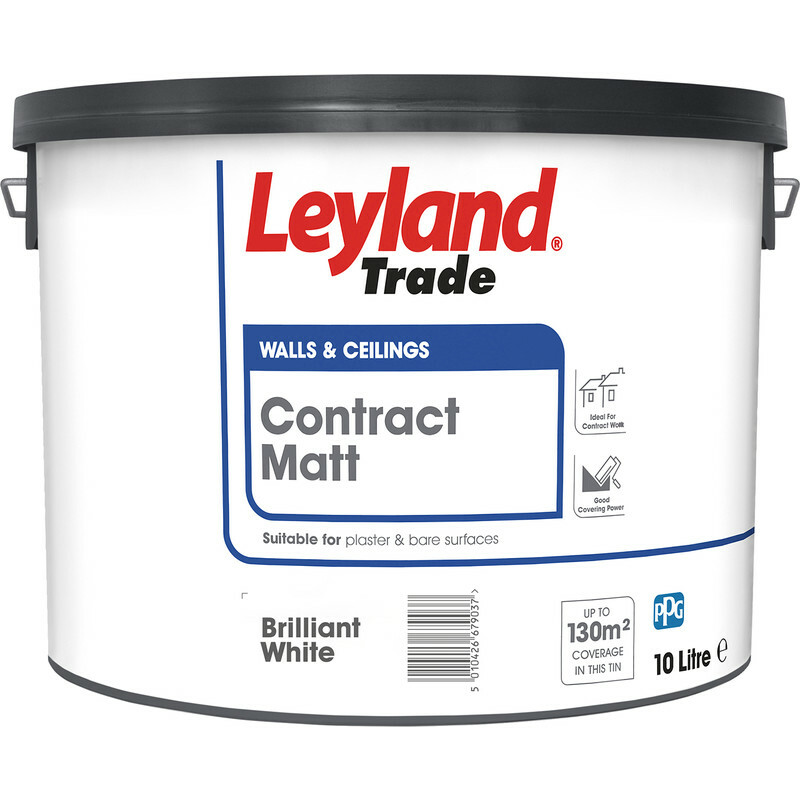 Leyland Trade Contract Matt Emulsion Paint 10L Brilliant White is rated 3.9 out of 5 by 25. Rated 1 out of 5 by Robert66 from Pretty Awful Paint I don’t know why the reviews on this paint are so good because it’s pretty poor paint if you ask me. Very little coverage, especially in corners and needs about 4 coats over lighter coloured paints. Even covering white walls it needs 2-3 coats. It definitely needs some white in it to increase the opacity. For £5 more you can buy Dulux Matt 10L and that’s far better paint. Very disappointed in this paint and I would not buy it again. Rated 1 out of 5 by Anonymous from Lumpy paint I bought cheap paint as it was only for a mist coat on new plaster. The paint was full of dry lumps. Unfortunately I spent longer picking lumps out of my ceiling than actually painting. Sorry never a trade product.